Easterners have been lamenting over the lack of brunch places in the East for the longest time, at least I have. 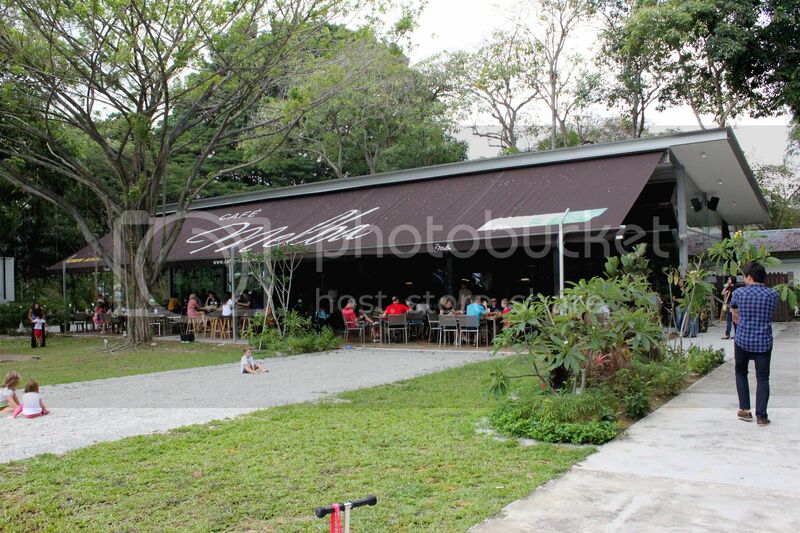 Recently however, I chanced upon this laid back Australian brunch place at Goodman Arts Centre near Mountbatten MRT. I’m surprised there’s not much online coverage about it yet, especially since it gets pretty packed with expats during the weekends. I guess word of mouth travels fast. Facing a field of green, it makes for a perfect setting for a weekend brunch. The cafe seems to be both pet and children friendly, as I saw dogs playing in the field which I assume to be pets of the customers, and a blow up castle entertains the kids as they bounce up and down on it. 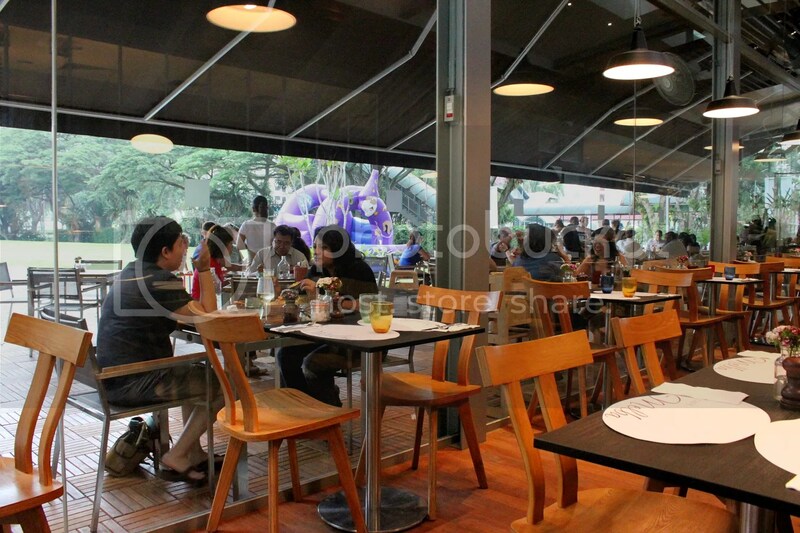 The menu features brunch items, appetizers, mains, sides and a variety of pizzas. 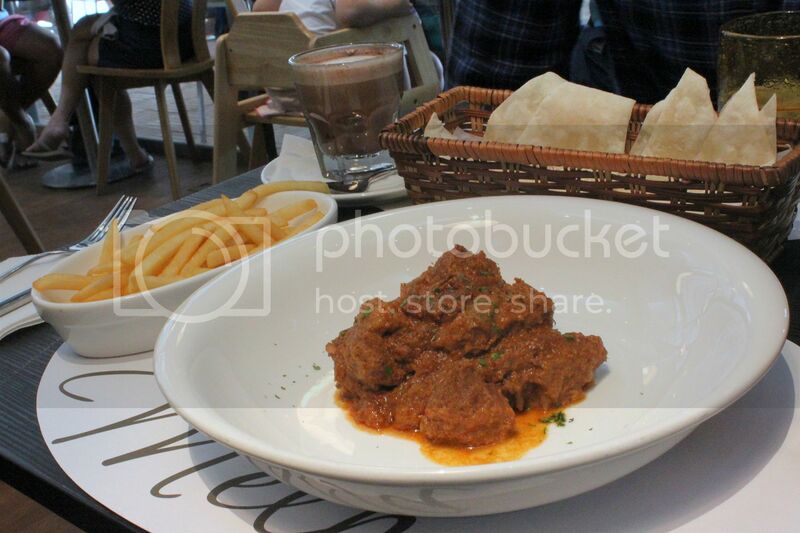 Considering that this is an Australian eatery, some items on the menu seem out of place, such as the Melba Beef Rendang ($18++). Cooked in Coconut Milk, Ginger and Spices, I found the Rendang to be very ordinary and a little too spicy. Instead of rice, you get pizza bread to complement the rendang, a little bit of east meets west. As rendangs of such quality can easily be sought after in most nasi padang stalls, I wouldn’t recommend it here. The best thing was probably the shoestring fries which comes freshly fried alongside the dish. 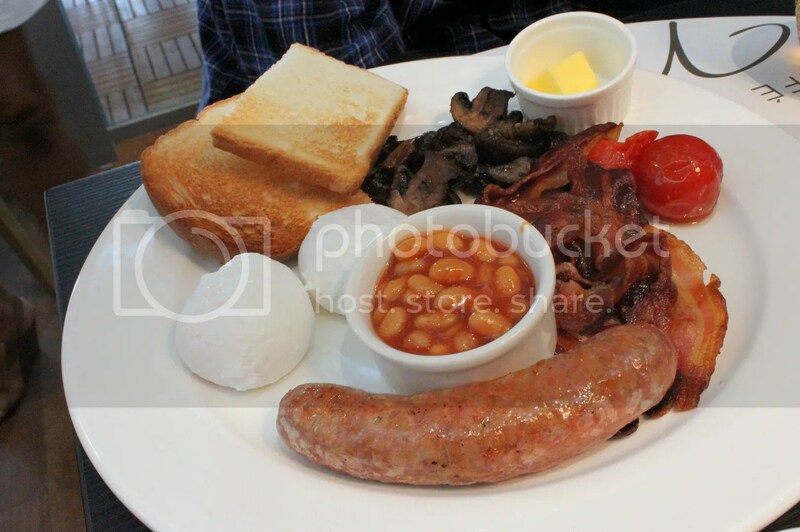 The Full Melba Cooked Breakfast ($24++) comes with a choice of Eggs (Scrambled, Poached or Sunny Side Up), Pork Sausages, Cured Bacon, Roasted Cherry Vine Tomatoes, Baked Beans, Mushrooms and Home-made Toast. It sounds heavier than it really is and personally, an extra side of sauteed potatoes would have completed this breakfast platter. 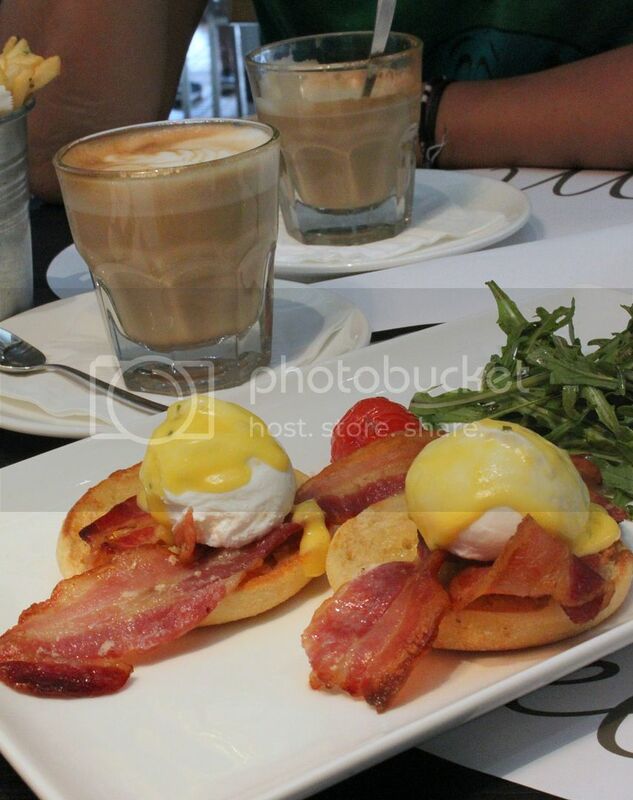 The Free-range Eggs Benedict ($18++) arrived with 2 puny kampong chicken eggs that had been slightly overpoached. The Hollandaise sauce wasn’t as creamy nor flavourful as I would have liked either. If you are really hungry, the Melba Burger ($23++) is something to consider. 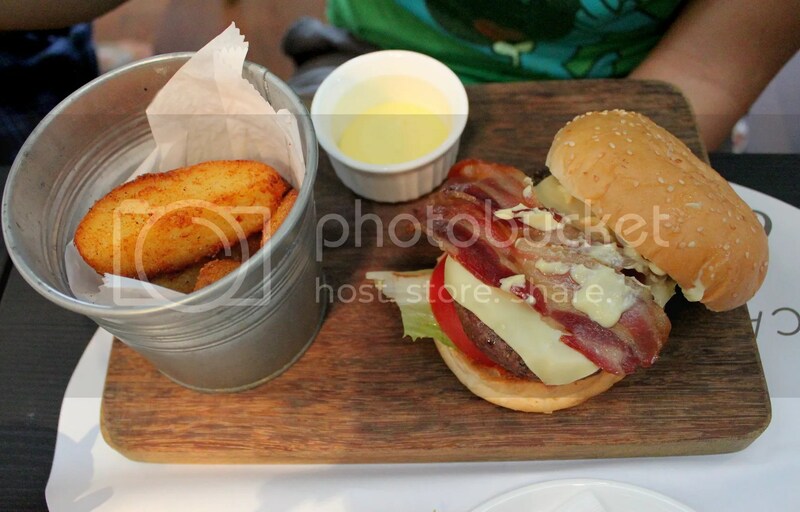 The burger is made with home-made Relish, Cured Bacon, Cheese and a choice of Shoe-string fries, Salad or Wedges. I thought this was done competently but the beef patty could have done with a little more flavour. Wedges were really awesome though. 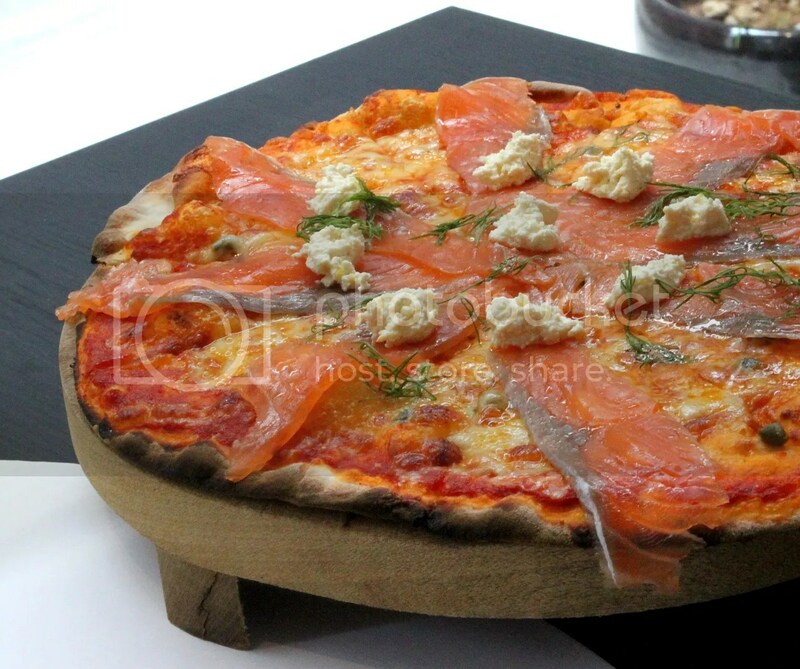 I enjoyed the thin-crusted Smoked Salmon Pizza ($18++ for 9 inches), which comes topped with Capers, Dill and Creme Fraiche aka sour cream. I would recommend the Truffle Fries ($13++) as it was good enough to warrant getting it again on my second visit here. 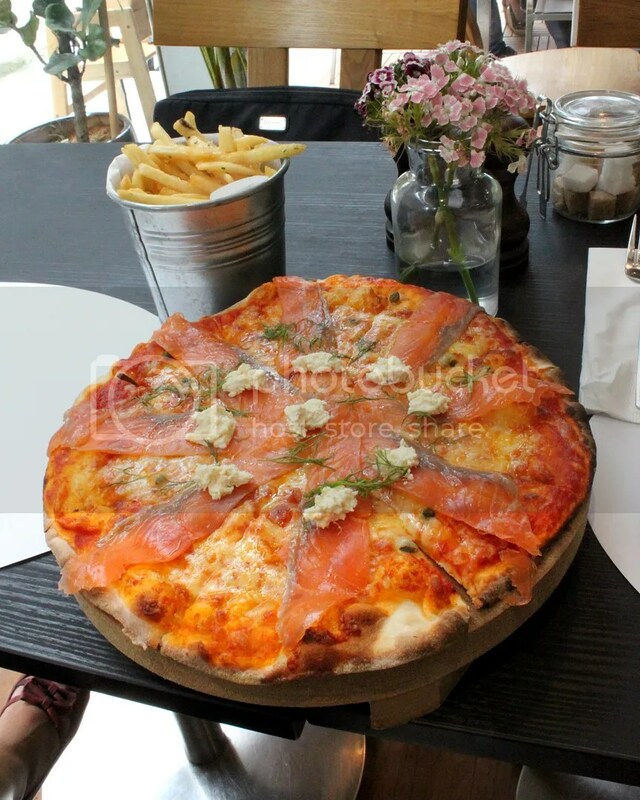 I usually shun the truffle flavour by the 20th fry as truffle oil can get a bit overwhelming but the ones here are just unbelievably addictive. By the way, I hope you don’t feel cheated discovering that most truffle oils are not made using real truffles but simply a synthesis of a chemical compound (that smells like truffle) with olive oil. 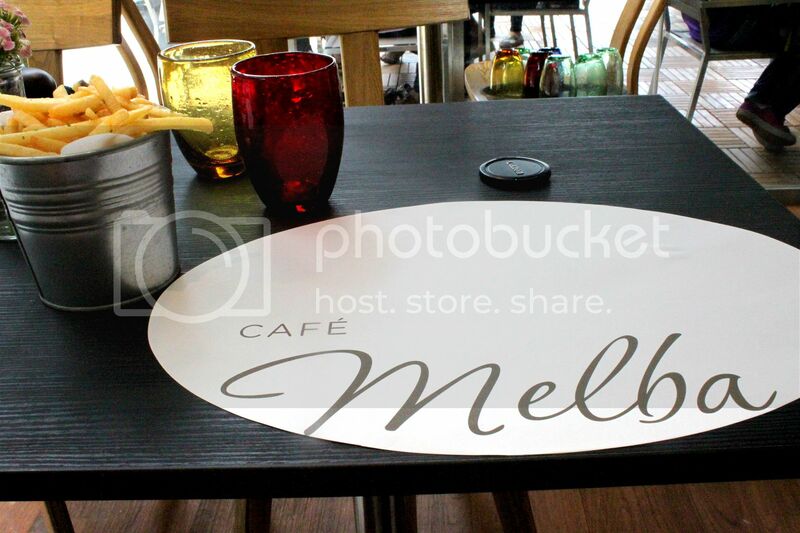 Overall, the food at Cafe Melba is nothing to shout about and slightly overpriced, given the small serving portions. 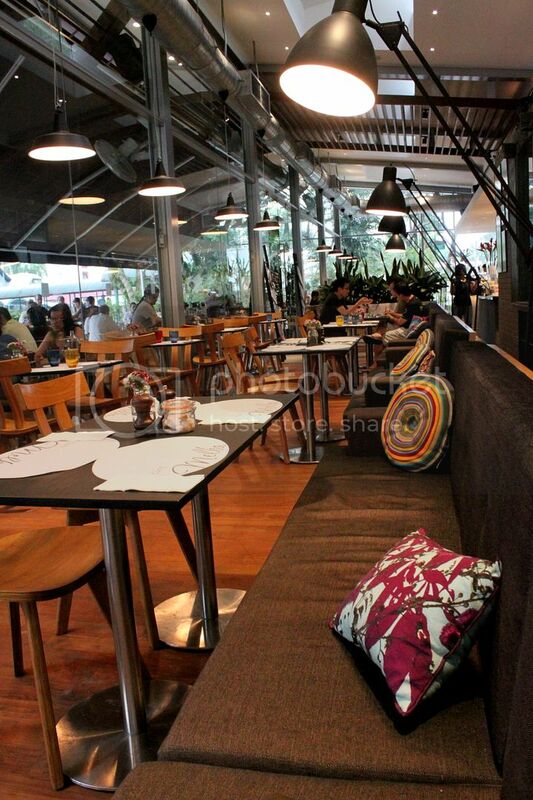 The main draw therefore, would be the laid back vibes that can make your weekend a truly lazy one. 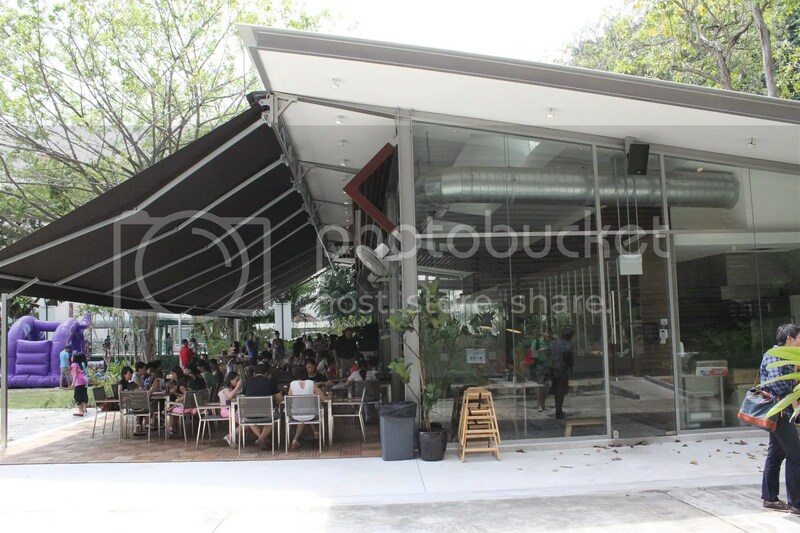 PS: There’s one other restaurant housed within Goodman Arts Centre called La Barca, which does Tuscan cuisine and is helmed by an ex-Michelin Starred chef. Been wanting to visit but online reviews have been giving me second thoughts. Categories : All YumYums in my TumTum, Australian, Brunch, Coffee, Cuisine Type YumYums, Dakota / Stadium, Location of YumYum, Yummy! I’ve been there! Haven’t had a chance to post about it. Thanks for the ride today. Hope to see you again soon! Good luck for the next few weeks! you are very welcome! thanks! see u soon!